Bloggers all around the world who enjoy writing on their sites also enjoy making money off of their blogs. Sure, we all know that Google Adsense is great, but how else can we turn our traffic into revenue? With these services I’m going to talk about, you can increase your blog’s earning potential easily! Just remember: choose the programs that are right for your blog, and make sure that making money does not overtake your primary objective of giving readers quality content, or you will be though of as a spammer. SocialSpark is a program that I use on my geek culture blog, and it brings in some pretty substantial revenue. This program is great for blogs who focus on products, since it is essentially a way to get set up with advertisers looking for a sponsored post. Once you sign up and your site is approved by the SocialSpark team, which only requires that you have 2,000 page views per month, you can start getting Leads. These Leads show which advertisers are interested in having you write a sponsored post – accepting a Lead does not automatically mean that you will get to write the post and get paid, but showing interest in a lead can give you an Opportunity. Opportunities come along a bit less often than Leads, and they are guaranteed – if you accept the Opp, then you get to write the post and get paid via PayPal. I’ve had advertisers pay me up to $100 for a single post, so this is a pretty lucrative program. You can set your own preferred rate in the settings, but, ultimately, advertisers will pay you what they want to pay you, or they will find someone else to write the post for them. Skimlinks is a service that has been getting great reviews, but I have not had a chance to personally try it out. What Skimlinks does is it goes through your content and changes existing links already in your posts into affiliate links, so that when people click on them, you get paid. This is awesome, because you know that all of the links you put into your blog are relevant, and the fact that you’re getting paid is just a free bonus! Skimlinks also as a SkimWords feature, which is similar to Kontera, which I will discuss below. Kontera is a network that many blogs use, and it is fairly easy to be approved. (I have tried Kontera before on my blog.) This service will link words in your post to an advertiser’s site, and you will get paid when people click on these links. Kontera was making some money for me, but my readers found it to be obtrusive, so I removed it from my site. A good idea would be to consider your blog, and then decide how many links to show per page in the settings: you can choose 1, 2, 3, etc. The eBay Partner Network, behind Google Adsense, is my biggest money-earner. This program is similar to Amazon’s, but it pays per click instead of giving a certain percentage of a product sale. eBay’s affiliate program is very successful on my site, but I have to warn you: it is very difficult to get accepted into the affiliate service. The only reason I was able to get in is because I have an established eBay seller’s account that I used to use to run a small business, so I had a bit of clout among the eBay community. Amazon Affiliate probably does not need much explanation – I would dare to guess that most of you have heard of this service. I, unfortunately, live in Illinois, so I cannot be in this program. (Thanks, Pat Quinn.) It was my single biggest earner, giving me more money on a monthly basis than even Google Adsense. If you have a product blog, Amazon’s Affiliate Program is a MUST. Although, Adsense is right now my primary revenue source, but I also make use of other alternatives such as BuySellAds, SocialSpark, Infolinks, SkimLinks and a few more programs. BTW, thanks for sharing this post Jack! No problem – sounds like you already have diversified revenue sources! Hey Amit – no problem! can it effect our adsense? are we allowed to use these along with adsense? 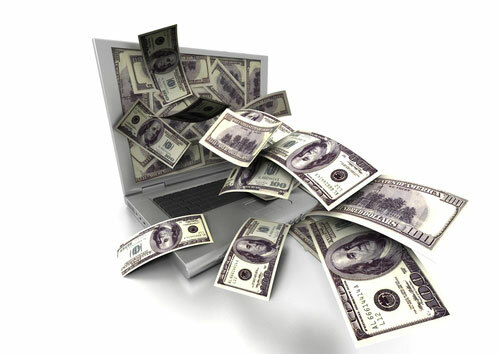 Jeevan – all of these programs can be used in conjunction with Adsense, and shouldn’t affect your earnings. Hey jack, nice alternative dude,, i think now i want to try this new alternative on my sites. I use to try Infolinks on my blog but it didn’t work really well. Its revenue is just about 1/4th of Adsense’s revenue and I worried that it could decrease that revenue as well. Anyways, that’s a good network and absolutely I will try it later. Hi Tuan, thanks for your reply. We’re 100% compatible with AdSense, so there is no reason Infolinks should decrease your AdSense earnings. Try us out again and email our support team for optimization tips to help increase your earnings! Good luck! This is Jonathan from Kontera. While everyone has their personal preferences about what types of advertising they do and don’t like; the Internet marketing research firm comScore did a study that found Kontera ads are on the whole viewed as one of the least intrusive ad types. That’s both because of the ad relevancy and that the ad layer is user initiated. I tried both Kontera and Infolinks but it seems like Infolinks is the better one in my case. I used the in-text ads for over a week and could just earn a few bucks, I didn’t have a good impression with this network. For gettoptens I am using adsense what do you think i should go for some other ads ? I think the best alternative from your list is Kontera, i have had good results with it. Though it does not do that well with Asian traffic but it gives good CPC for US and Europe traffic.